Job seekers can send in their Halliburton application for a chance to work for one of the most successful oil field services companies in the world. With over 70,000 employees and locations in over 80 countries, Halliburton has earned its spot on the prestigious Fortune 500 list. Schedules at Halliburton vary according to location and department. Job seekers will be notified of the specific work hours of their chosen department during their interviews. According to the company’s hiring policy, all candidates for employment must be at least 18 years old to be deemed eligible for Halliburton careers. Please note that all younger candidates will be automatically eliminated from the application process. Job seekers can conduct a personalized search on the Halliburton jobs portal by selecting their preferred location for employment and the type of position they are interested in. Candidates interested in Halliburton careers are required to submit an online application via the company’s employment portal. They can explore the available positions on the portal to find the best-suited jobs for their professional and academic background. They can read the full descriptions of their chosen positions by clicking on the job titles. They will be able to see the complete list of requirements for each job. When they find a position that they want to be considered for, they can click on the Apply button to begin filling out their online jobs and employment form. Then they will be asked to provide their e-mail address to create an account on the Halliburton application portal. Then they will have to provide their full names, phone numbers, and their current or most recent position. They can also add information about their job agents at this point of the process. Candidates will be asked to provide their e-mail addresses to create their accounts on the Halliburton application portal. 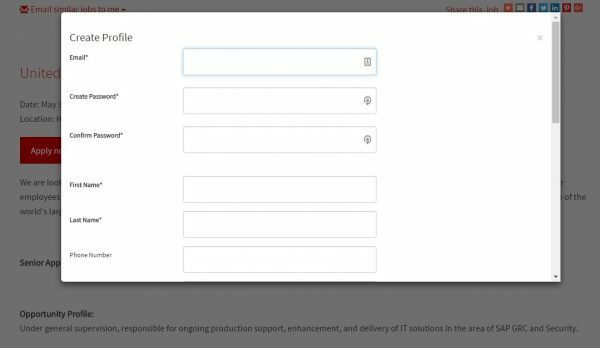 For this section of the Halliburton application, candidates can upload their resumes to use the portal’s data-fill feature. This tool can populate some of the sections featured in the form with information from their CVs. 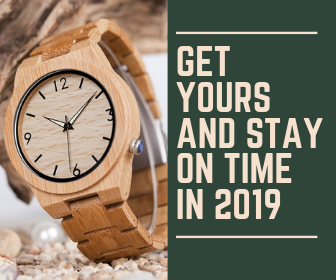 This way, applicants can save a lot of time. To use the data-fill tool on the Halliburton application portal, candidates will have to provide their resumes. This part of the Halliburton application includes the main information about the candidates: their full names, e-mail address, phone number, resume, and cover letter. Please note that providing the documents is entirely optional. The first section of the Halliburton application includes the main details about the candidates. For this section of the Halliburton application, candidates can add information about their previous employment. This section will be populated by the data-fill tool if they choose to use it. They can include as many entries as they want so that they can create a complete outline of their careers up to this point. Candidates will be asked to include information about their professional and academic experience. This section of the Halliburton application requires candidates to provide information about their education. The data-fill tool will populate this section as well. Applicants are required to list the academic programs they have been enrolled in by beginning with their most recent one and listing the others in reverse chronological order. Candidates can include information about their driver’s license to this section of the Halliburton application. This information could prove useful for the employment process. For this section of the Halliburton application, candidates can include data about any certifications and licenses they might have. This section will be populated by the data-fill tool, if used. For this section of the Halliburton application, candidates are required to mention whether or not they would be willing to relocate for employment purposes. They will have to mention where they would be willing to move. Candidates can include all the additional documents of their resumes that they deem to be relevant for the hiring process to this section of the Halliburton application. For this section of the Halliburton application, candidates are required to provide their permanent and their temporary address (if applicable). This information will be used by the Human Resources department to identify them. When applicants complete their Candidate Profiles, they will be able to proceed to the Halliburton job application form. While the profile requires general information about the candidates and their experience, the job application features sections that specific to the careers they are applying for. This section of the Halliburton job application includes the personal information of the candidates. It will be populated with information from the Candidate Profile. 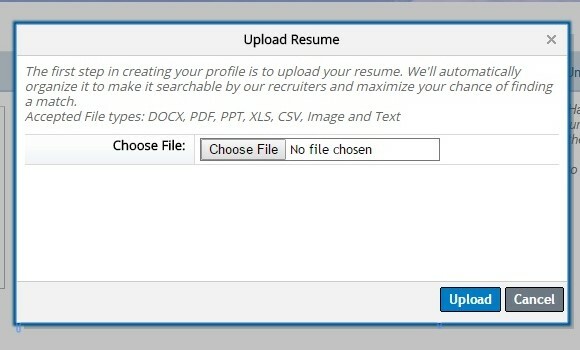 If candidates have not added their resumes, cover letters, and additional documents to their profiles, they can upload them to this section of the Halliburton job application. They can also mention their current job title and employer. For this section of the Halliburton application, candidates must answer the pre-employment questionnaire. This section of the Halliburton job application form features a pre-employment questionnaire. This is meant to assess whether or not the candidates are eligible to work for the company. This section of the Halliburton job application form includes a short questionnaire that requires information about their race, gender, ethnicity, and military status. Please note that candidates are required to fill out this section but they are not obligated to disclose this type of details about themselves. For this section of the Halliburton application, candidates will have to provide information about their race, gender and ethnicity. If for any reason they are not comfortable sharing this type of information with the Halliburton hiring specialists, they can choose the “I do not wish to disclose at this time” answer. The outcome of their applications will not be affected in any way. This is the final section of the Halliburton job application form. It includes a series of questions which are meant to assess whether or not the candidate is able to comply with the core requirements of their chosen position. After filling out their Halliburton job application, candidates can submit their forms to the Human Resources department for assessment. They will be able to keep track of their application status on the careers portal and find out when their forms have been analyzed. Job seekers will be able to access the complete list of available positions on the company’s online employment portal. They can explore the Halliburton job openings to find the best-suited career for their experience. Halliburton offers amazing opportunities for gifted students and young professionals. They can find all the requirements for applying on the company’s employment portal. They will get to experience first-hand what it is like to work for one of the most successful companies in the oilfield services and equipment corporations. Halliburton salaries for interns range from $18.00/hour to as much as $26.00/hour. The exact rate will be decided during the interview according to the professional abilities of the candidates. Candidates looking to apply to Halliburton careers in management will find all the job openings on the employment portal. They will have to submit their job applications online to be considered for their chosen positions. Halliburton benefits packs include everything from healthcare options, to financial and retirement benefits, as well as excellent paid time off options. The exact contents of the benefits packs are determined according to the career level and department of the employees. They can go to the Official Halliburton Employee Benefits Portal and log in by using their employment username and password to find out the exact options they are eligible for. Filling out the Halliburton application should take candidates 30-45 minutes, provided that they have access to the updated versions of their resumes. We strongly recommend that they also include a cover letter because this will give them the opportunity to personalize their application. In the cover letter, they should mention why they are interested in working for Halliburton, as well as the personal traits that make them suitable candidates for employment. The cover letter should be no longer than one page and it should be written in a semi-formal or formal voice. The Candidate Profile requires candidates to provide specific information about their professional abilities. While the vast majority of the sections featured in the profile are not listed as mandatory, we recommend that applicants take the time to fill them out because this will provide the Halliburton hiring specialists with necessary data about them. Candidates can opt to use the portal’s data-fill tool. This will help them save quite a lot of time because the relevant information in their resumes will be automatically transferred to their forms. We recommend that applicants proofread the information featured in the form and that they provide extra details so as to convey all the relevant aspects of their professional experience. Candidates should know that the Halliburton application does not feature a separate section where they can proofread their forms before submitting them. It is very important that they check for spelling and grammar mistakes and any other data inaccuracies before sending their forms to the HR department. They can do so after completing the Candidate Profile and respectively the Job Application. The Halliburton applications will be analyzed by the Human Resources department. The hiring specialists will select the best-suited candidates for employment according to their professional abilities and their level of compatibility with the company. These candidates will then be contacted by the HR specialists to set up interviews with the Halliburton hiring managers. They may be called in for up to four job meetings to complete the assessment. The specific number depends on the position that the candidates are applying for and the particularities of their chosen department. Please note that some positions may require a practical assessment as well. To be prepared for the Halliburton interview, candidates should take the time to get well-informed about the company’s profile and development. They should know about the main achievements of their potential employer because this will present them as true professionals. They should also compare their resumes to the main requirements of their chosen Halliburton career and be prepared to point out what makes them able to comply with each of these job responsibilities. This will help them provide complete interview answers and present their abilities properly. Interview candidates should also take the time to prepare their interview outfits because these will greatly influence their chances of making a good impression on the Halliburton hiring specialists. They should opt for formal attire and complete their outfits with discrete accessories and hairstyles. We will provide a few sample questions which have been previously used in interviews at Halliburton. These should help candidates by giving them an idea of the tone of the job meeting and the type of information they will be asked to provide. Why would you like to work at Halliburton? What do you know about Halliburton? What makes you suited to comply with the requirements of your chosen Halliburton career? Could you please tell me about the major projects you have been involved in during your professional experience? What major challenges did you undertake? Could you please tell me about a time when you have experienced difficulty working with someone? Which do you think are your greatest strengths? What about your greatest weaknesses? What can you tell me about yourself that is not included in your Halliburton application? My job application doesn’t go to next step. I fill out the form then click next. Next page displays failed to process the application. I’m afraid I cannot send the application. If you want to apply for a job at Halliburton, please read carefully our step by step guide. First you need to visit jobs.halliburton.com portal. Choose job title and location where you want to apply. Click “Apply now” RED button. You will be asked to provide your e-mail address to create an account on the Halliburton application portal. Fill in all fields. If you get stuck, read our guide. Good luck! Hi Andrew, thanks for the blog. I want to make you some questions about the profile. What is happening it´s that I do not know if I’m filling well my profiles. As you see, I am from Colombia and, many of the questions are focussed to US applicants so, I don not know if I am doing it well. If you could help me or give some advices to how fill it well, I’ll be thanked with you. Thanks for reading. I wait your reply soon. Are you referring to the questions in the online application? To some extent, it’s true that these questions focus more on US applicants, but they tend to be quite general.Some information is absolutely essential, but if you miss a couple of things here and there it shouldn’t be a major issue. Hi, is it possible to create two different accounts with same name and information in Halliburton portal and apply to two different positions from the different profiles? I created two profiles in Halliburton portal. But all information are same, only emails are different. I apply to one of job openings from one account, to other position from the second profile. My resume and all other attachments and information are same. Company will accept my application? It shouldn’t really be an issue. But you can usually apply to multiple positions from the same account. Our guide focuses mainly on job opportunities in North America. I applied 215 Jobs for entry level almost 55% i recevied reply Rejected or Consider for Future Oppourtinities and some are pending I Know i dont have experience related with oil gas field but for entry level should need experience? Please give me sugestion to get the job in Halliburton Company. Different career fields will have different requirements. In a field such as oil and gas, even entry-level jobs will most likely require at least a couple of years of experience, given the difficult and complex nature of the work involved. Other fields, such as hospitality or customer service may be more lenient in their requirements for entry-level jobs. If you are interested in working in oil and gas and have no experience, then it’s best if you take on a few internships, and participate in training classes before you try applying for a full-time job.